The classic Vendia Series is characterized by practical elegance that makes the furniture the right choice, especially in cramping rooms. 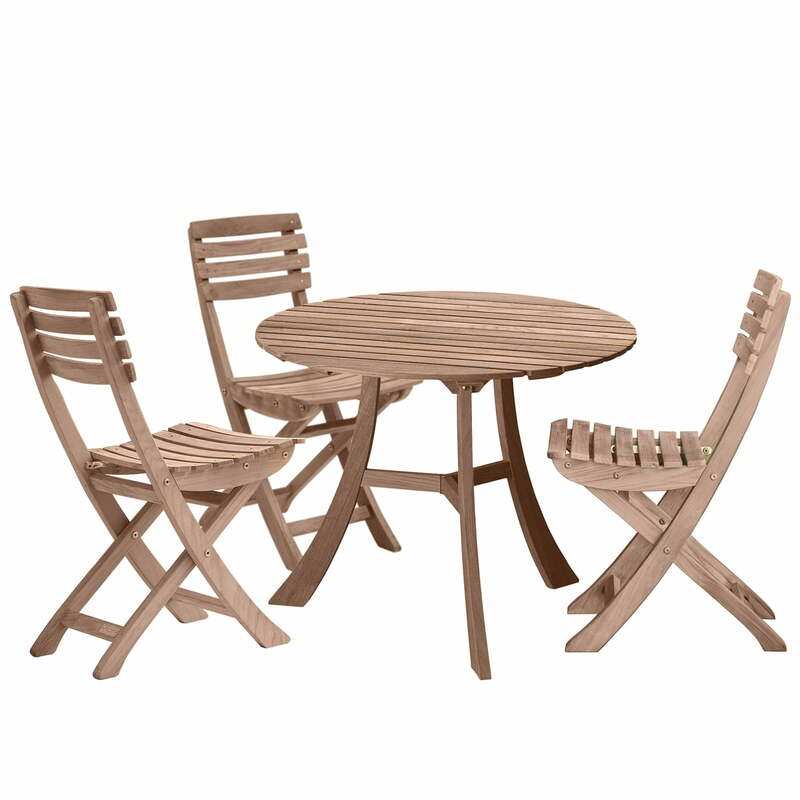 The series is perfectly suitable for the balcony, small terraces and comfortable seating areas in the garden furnishings. The Vendia Table convinces thanks to its three bent legs with an exceptional stableness. If the table is fulfilled by the suitable folding chairs, the group mediates a harmonic overall picture. The Vendia Table is not foldable, unlike the chairs. 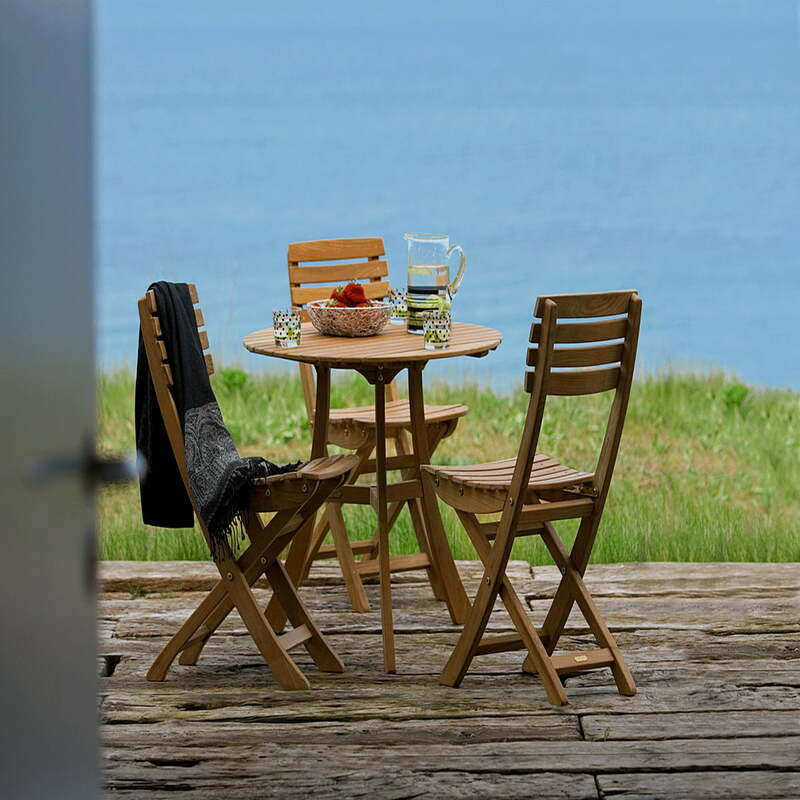 The designer Mogens Holmriis created a robust and weatherproof furniture seriesout of teak wood with Vendia for Skagerak. Like all teak wood furniture also the furniture of the Vendia series should be treated with the corresponding care products. Especially when teak wood furniture is exposed to changing weather, a Patina can appear on the furniture's surface when irregularly cared. 69 of 135 customers have found this review helpful. I am happy I bought this wonderful table! It looks amazing in my garden and could be easily moved if needed. I would recommend to buy Vendia chairs to complete the set. 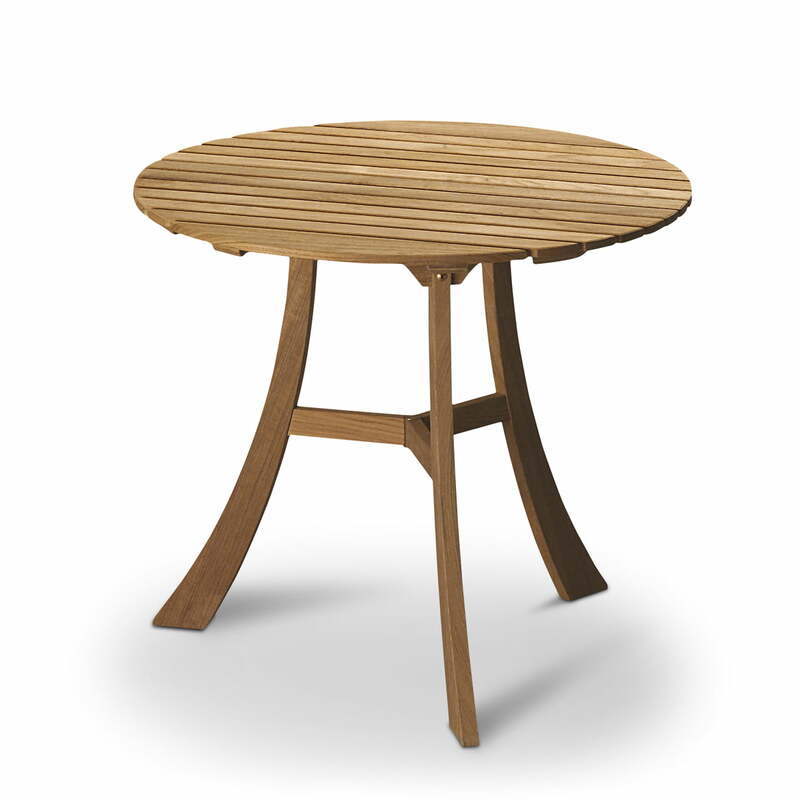 Single image of the Skagerak Vendia Table. 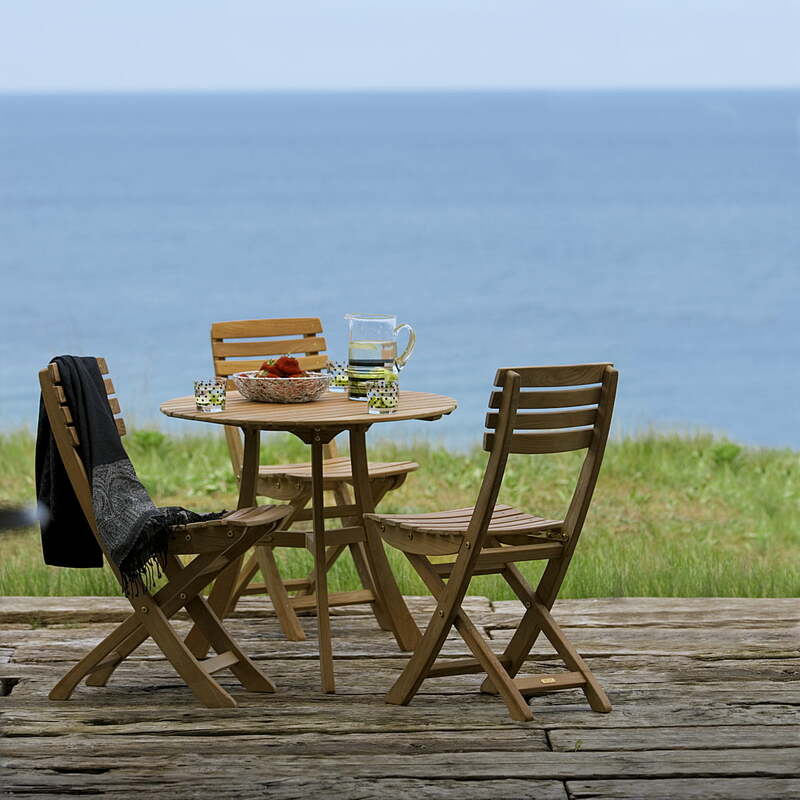 The designer Mogens Holmriis created a robust and weatherproof furniture seriesout of teak wood with Vendia for Skagerak. With Vendia for Skagerak, designer Mogens Holmriis has created a robust and weatherproof piece of furniture made of untreated teak. 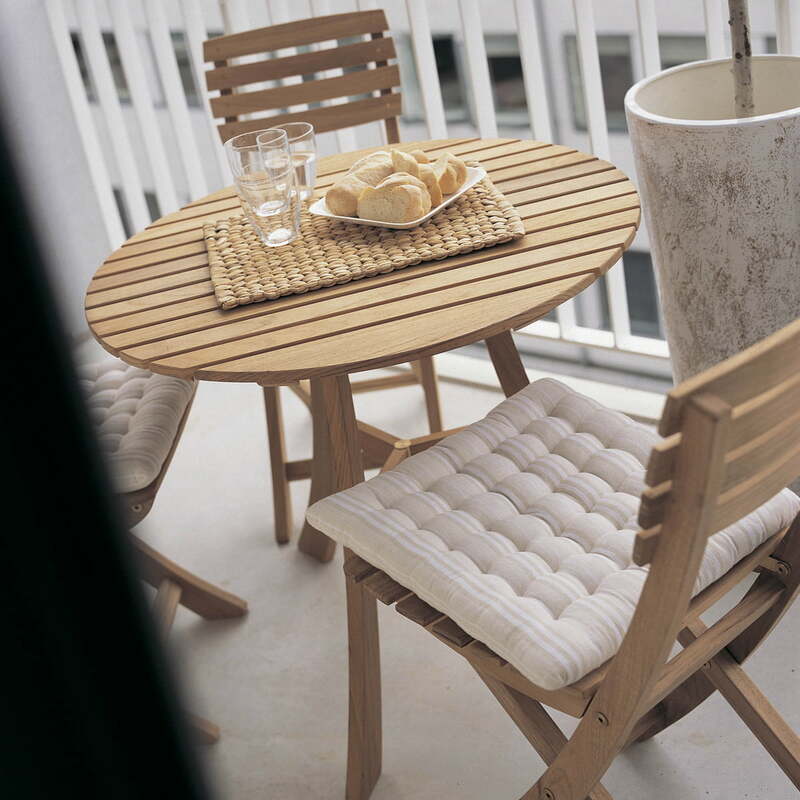 The Vendia table and matching chairs are ideal for style-conscious furnishing of your balcony or small patio. Practical elegance yet robust and weatherproof - the Vendia furniture series, made of untreated teak by Mogens Holmriis for Skagerak, is all about these features The Vendia table impresses with unusual stability thanks to its three curved legs, while the chairs can be folded up to save space. 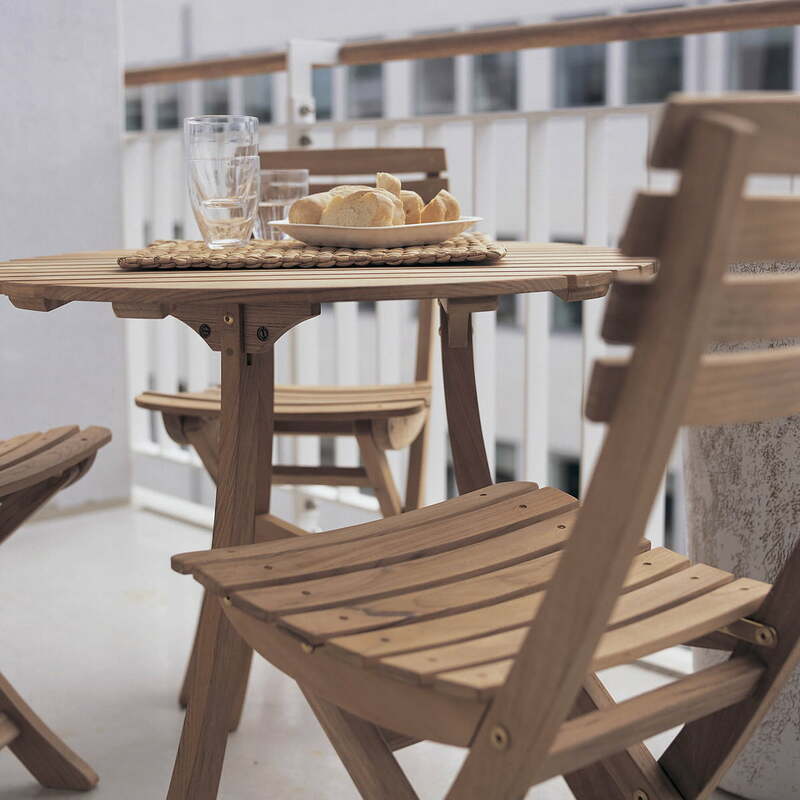 Breakfast on the balcony is now possible thanks to the Vendia furniture series by Skagerak. 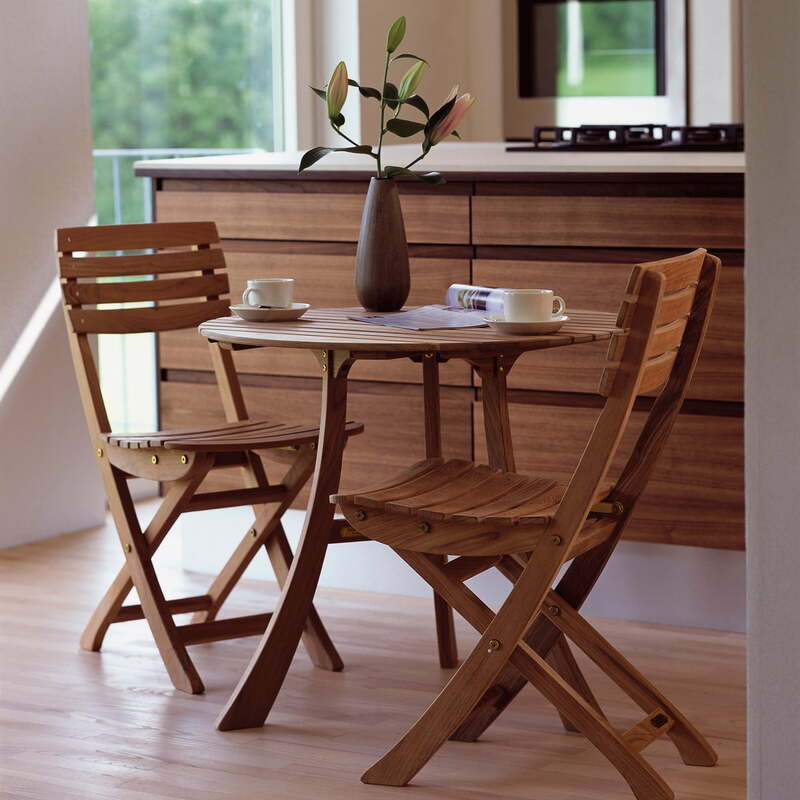 When designing the Vendia table and chairs, Mogens Holmriis put particular emphasis on practical elegance, durability and weather resistance. The classic Vendia range is characterised by practical elegance, making it the right choice for confined spaces. 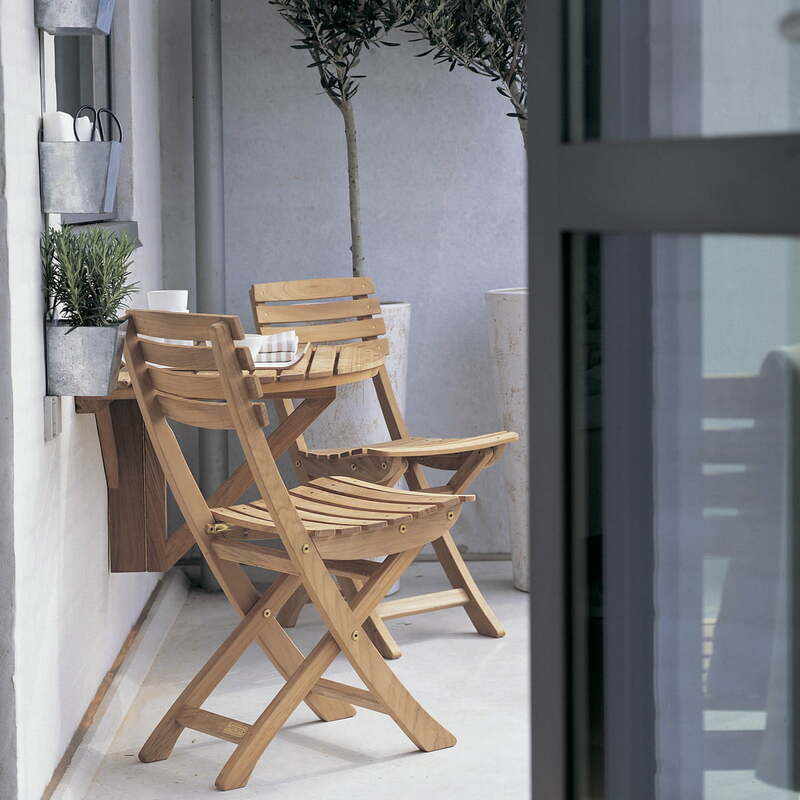 The series is ideal for furnishing balconies or small terraces. The Vendia table by Mogens Holmriis for Skagerak impresses with unusual stability thanks to its three curved legs. When the table is complemented with the matching fold-up chairs, the group conveys an harmonious overall image. However, the Vendia table cannot be folded like the Vendia chairs.